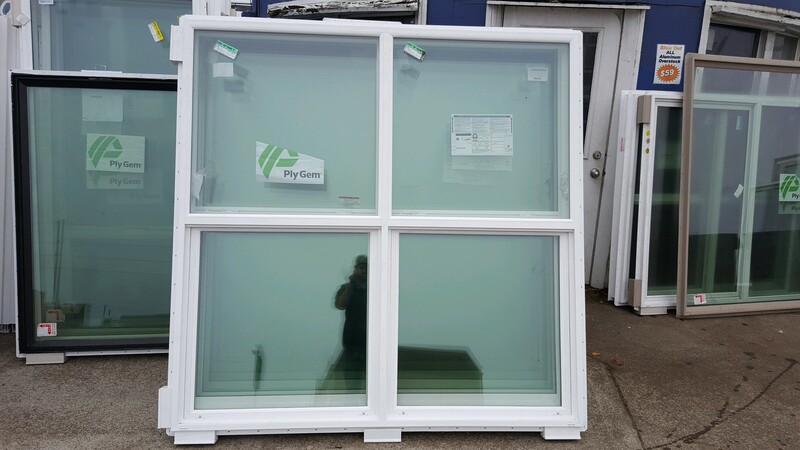 We have received multiple Matching Plygem windows These windows are 6-0 Wide x 5-0 Tall double single hung 5-0 Wide x 5-0 Tall Double single Hung. 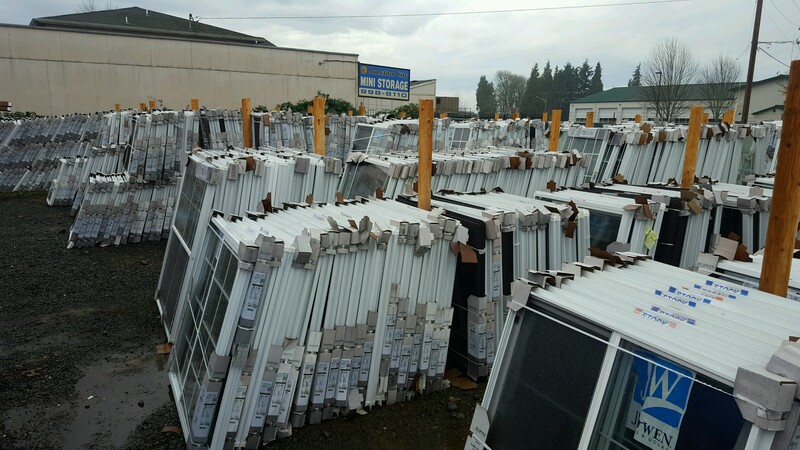 and 6-0 Wide x 6-0 Tall Double single Hung. 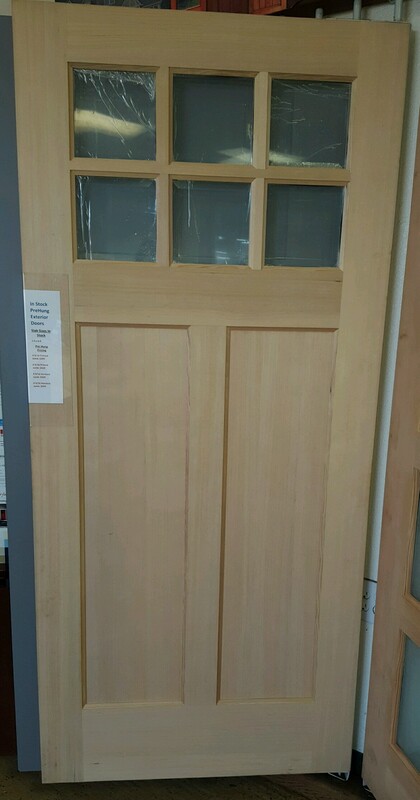 we now have in stock a couple Fir Exterior Door styles. the 2 styles that i have are Craftsman 6 lite or contemporary 4 lite. 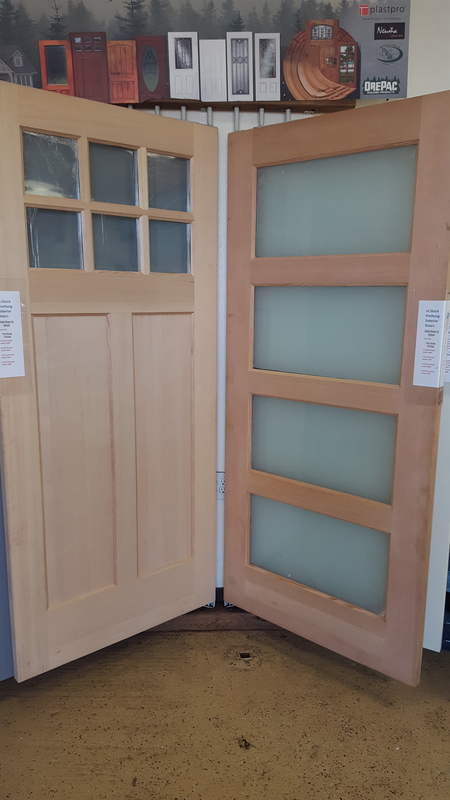 these are great stainable or Paintable exterior doors. 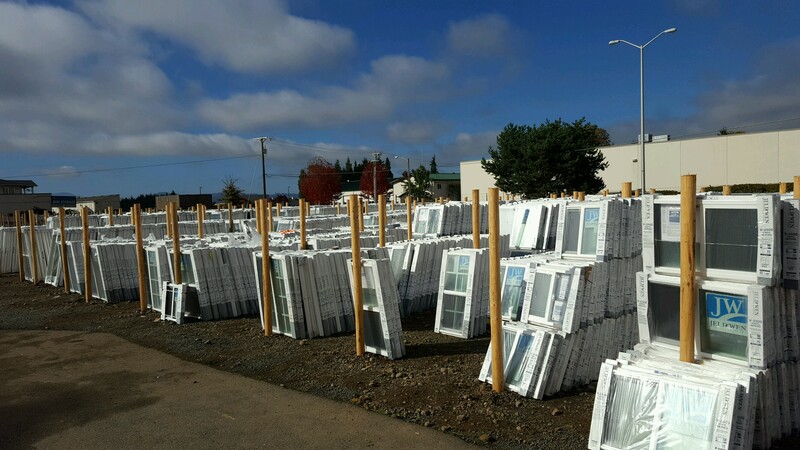 We got a great amount of Jeld-Wen ALUMINUM windows in. 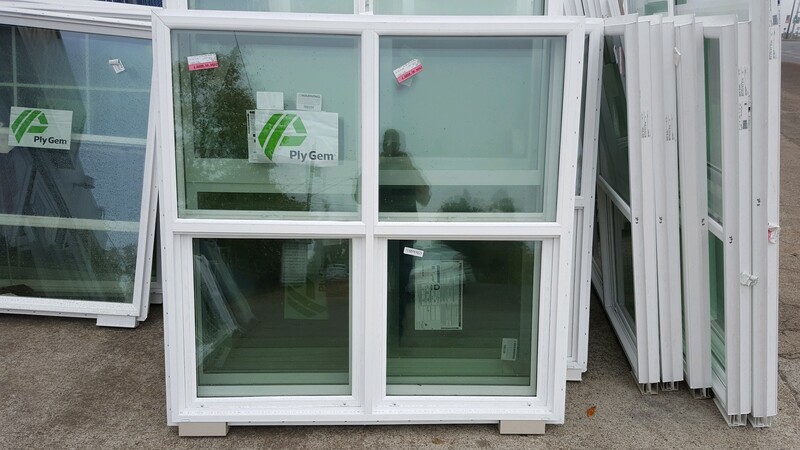 these windows are mostly white but do have some in the Bronze color as well. 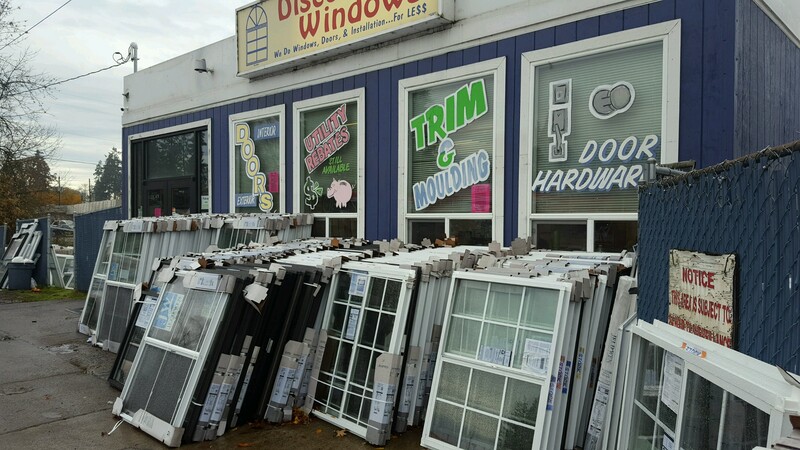 we are trying to clear out as much as we can so we are blowing them all out at $59 each on any size. 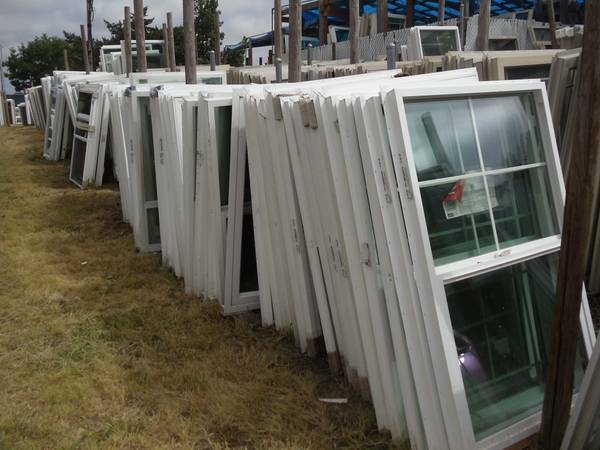 We Are currently receiving in thousands of Premium Overstock Windows. 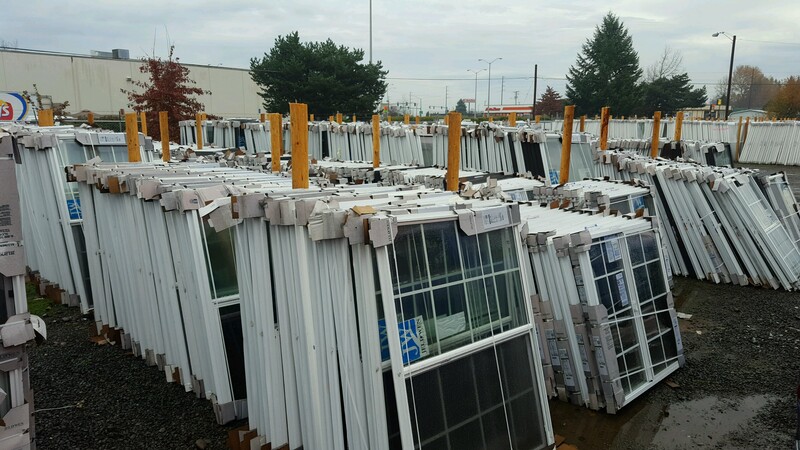 These are Jeld-Wen windwows in the 1500 and 2500 series are all standard window sizes for new construction or replacement. 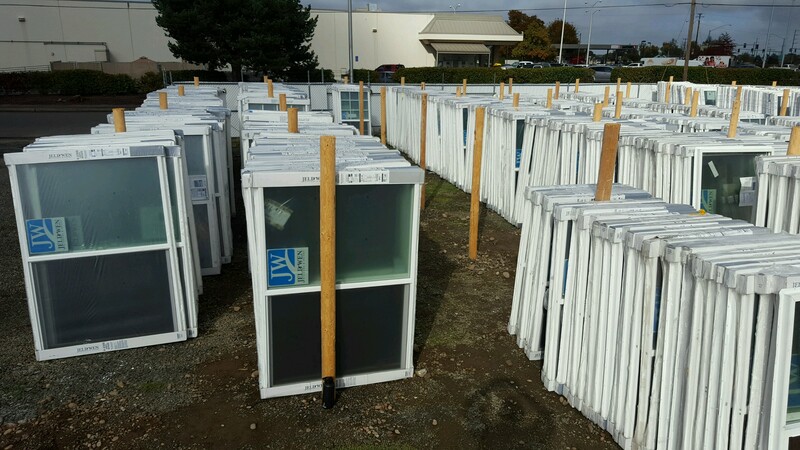 We have Most of these with Clear glass or Grids in between the glass. 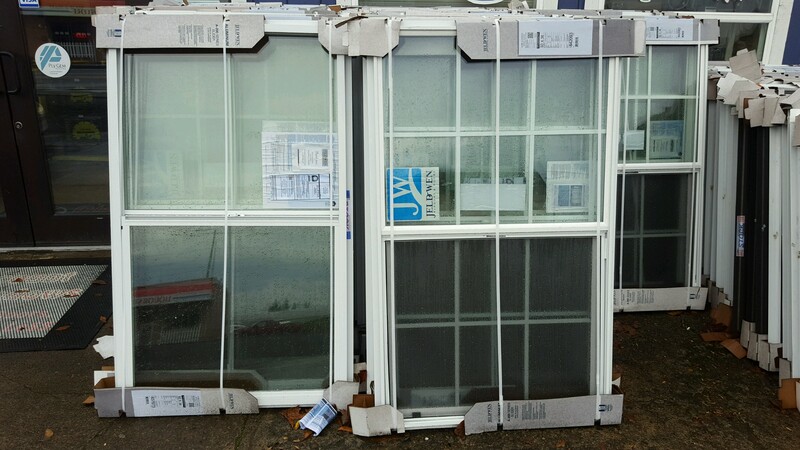 We have several overstock 3 x 5 single hung and slider windows for only $75.00 each while supplies last. 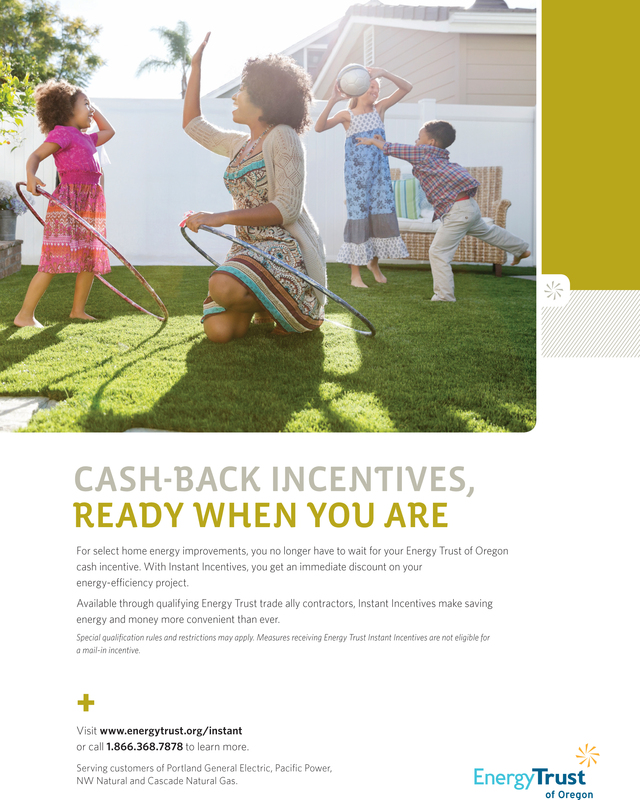 THIS IS A AWESOME DEAL IF YOU NEED THESE STANDARD SIZE…. 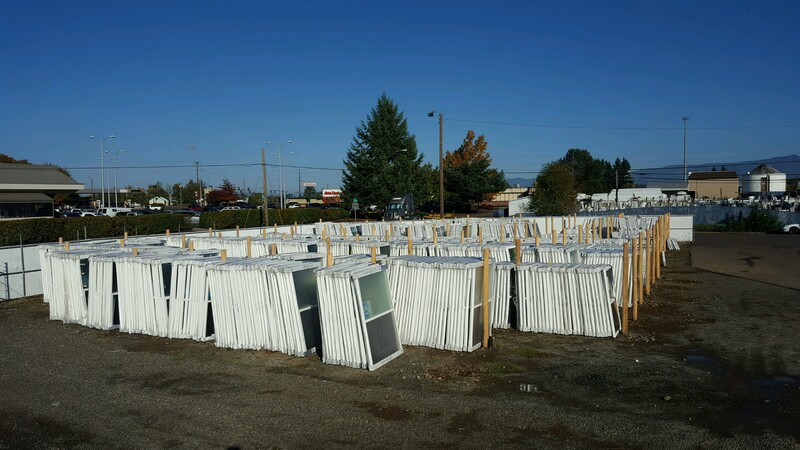 call 541-998-8984 or stop by IF YOU WOULD LIKE TO TAKE SOME HOME!! !